I started working at Appomattox River Company in May of 2012. That fall I had moved into a marketing-digital role and begun looking for ways to increase our brand awareness. 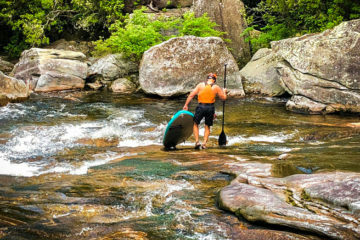 Appomattox River Company already had a good name in the paddle-sports industry, and I wanted to find more people and draw them into the fun. I paddled some canoes as a kid, and I’d paddled a little whitewater, but there were so many long-time canoeists and whitewater paddlers in the company here in Farmville, that I decided to tackle a different scene. I decided to try kayak fishing. I’d fished as a kid, on occasion as a teen, but hadn’t done much in my adult life. So I started casting lines from a used kayak in April of 2013. I got into kayak fishing thinking that it would be a good marketing angle, to pick up some skills, and to relate to that portion of the paddle-sports market. I also thought it wouldn’t hurt to appeal to the larger fishing market. I had no idea that this motivation would quickly turn into an absolute obsession, and that within me lay dormant a passion that exploded with that first cast and that first kayak caught bass. By June of 2013, the addiction was firmly entrenched. I had caught my first saltwater fish from a kayak while in North Carolina. It’s been over two years since this journey began. I’ve learned quite a bit along the way. I decided to list some of those lessons. This by no means will be an exhaustive list, and I’ll compile a more technical one soon. 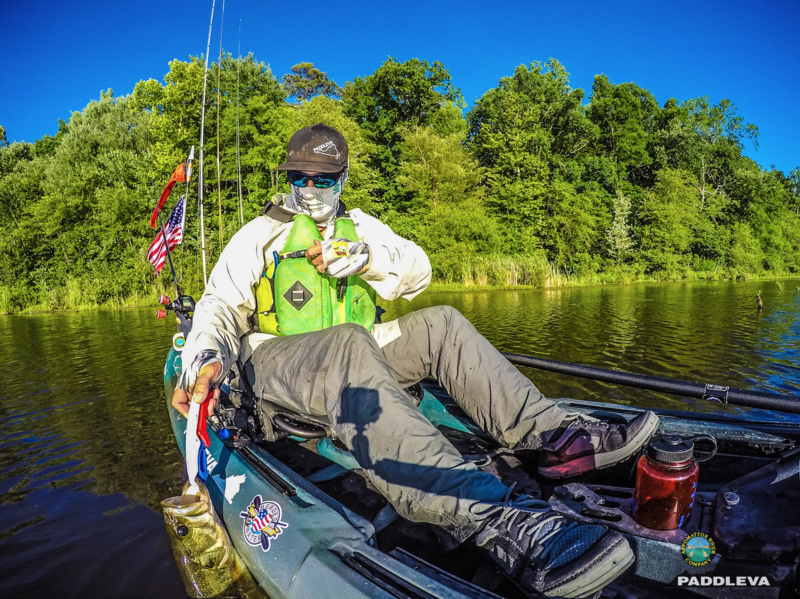 But if you’re just starting out kayak angling, hopefully some of these will help you out. Kayak fishing is a fantastic, soulful way to spend some time. 1) You do not need to buy a top of the line kayak, but you do need to talk to some experienced people about the best kind of kayak for the water you plan to be fishing, combined with your height/weight and paddling ability. I see articles stating that you can start with a $200 kayak. That’s true, for some folks. But I’ve fielded a lot of phone calls from people who bought big box store kayaks that can’t carry their weight. It helps to talk to people who know kayaks, before you buy. 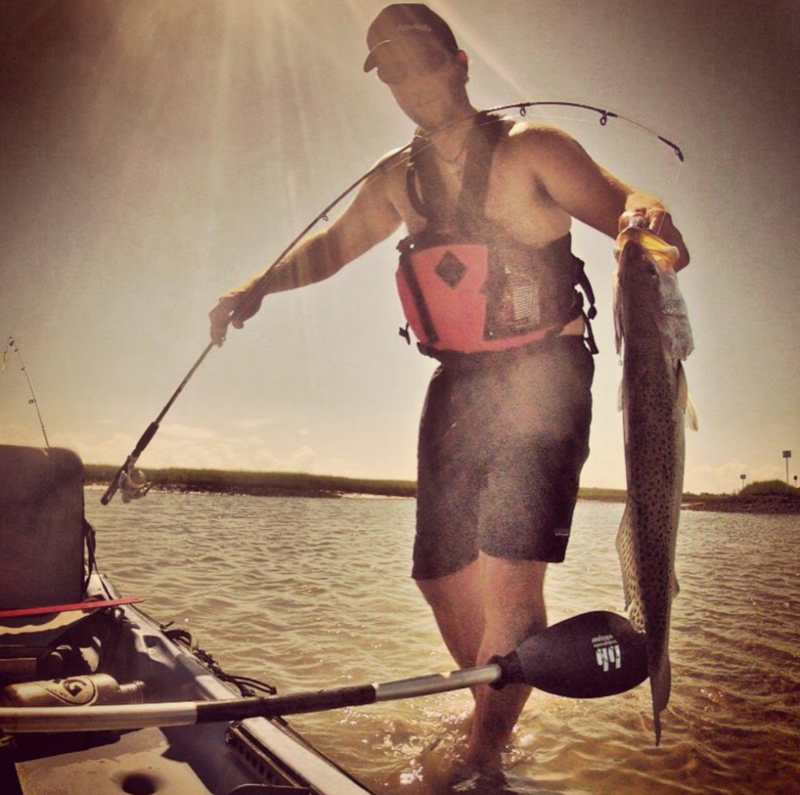 3) Kayak fishing is distinctly different than fishing from a boat. You must be self-reliant and prepared to handle any situation, on your own. It’s both the beauty and risk associated with the activity. Wear your PFD. There have been a lot of drownings lately due to kayak fisherman going in the drink without flotation. I carry a lot of essential items in my PFD that I need. It’s a tool that I do not fish without. Fishing PFDs have come a long way. These aren’t the 1970’s banana colored, camp lifejackets. 4) Speaking of bananas. Don’t show up to the boat launch, on tournament day, or any day, eating a banana. People will yell at you. Seriously, it’s a thing. Google it. I made the mistake once. Never again. 5) Try not to hassle people for fishing spot info. Have a sense of adventure. Read fishing reports, look at Google Earth, scour old forum posts and investigate. You can learn a lot about patterns, good fishing holes, etc from just a wee bit of effort. 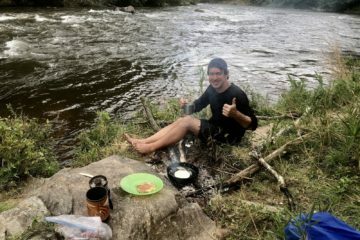 As I stated before, kayak anglers are pretty self-reliant folks, and most of the good ones put in a lot of hours honing skill and finding good spots. Don’t expect them to just turn around and hand that info over to you if you’re not going to show any initiative. But do your homework and get after it and you’ll quickly be welcomed into a great community of giving people. 6) Want to get a great shot of your catch? Get a mount for your camera (Yak Attack or Yak Gear). Attach some fish grips to a T-Reign retractor tether. When you catch that big’un, slap it on the tethered fish grips and let it chill in the water while you get your camera all set up. Press the timer setting and when the camera gets ready to shoot, pull your fish up and it will be fresh for the photo. 7) Which brings me to this tip for action cam users. GoPro cameras have many settings, but few buttons. Learn to navigate them quickly and correctly, because if you accidentally hit “Burst” instead of “Time Lapse” you end up with 20 of these shots and none of the full fish. This was a good 3-4 lber I swear. 8) If you’re going to be out all day, invest in some sun protection clothing. It’s to difficult to remember to lather up sunscreen throughout the day. With SPF clothing you don’t need to, and you can pretend you’re a kayak fishing ninja. Burn your shins enough, you’ll layer up. 9) Hydrate. Remember that kayak fishing all day is exercise, much more so than sitting on a boat. If you go out all day, bring enough water. Nothing disorientates me like a lack of water. It’s hard to focus on figuring out a pattern for catching fish, when your brain is shriveled up like a raisin. Dehydration will make you grumpy and will just compound your frustration if the fish aren’t biting. 10) The most important lesson for those of you who come from fishing to kayak fishing is this: A bad day kayak fishing is still a good day kayaking. I struggle sometimes to remember this one. But studies show, exercise makes us happier people. So get out there, paddle and fish. Don’t be scared to put in some work. Some of my most rewarding days involve lots of paddling to find the fish. And when it pays off, I feel like a warrior. Next ArticleMeet the 2016-2017 Interns!